Published in 1925, F. Scott Fitzgerald's The Great Gatsby is frequently studied in American literature classrooms (college and high school). Fitzgerald used many of the events from his early life in this semi-autobiographical novel. He'd already become financially successful with the publication of This Side of Paradise in 1920. The book is listed on the Modern Library's list of 100 Best Novels of the 20th Century. Publisher Arthur Misener wrote: "I think it (The Great Gatsby) is incomparably the best piece of work you have done." Of course, he also said that the novel was "somewhat trivial, that it reduces itself, in the end, to a son of anecdote." Some of the very elements that brought the book acclaim were also the source of criticism. But, it was (and still is) considered by many to be one of the great masterworks of the time period, and one of the great American novels. Challenged at the Baptist College in Charleston, SC (1987): "language and sexual references"
The first novel that Scribner's had published that contained "foul language." 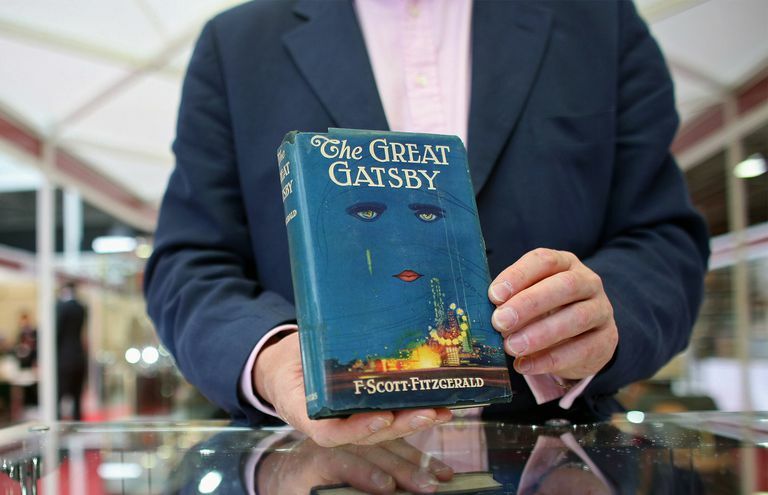 The Great Gatsby is usually the novel for which F. Scott Fitzgerald is best remembered. With this and other works, Fitzgerald forged his place in American literature as the chronicler of the Jazz Age of the 1920's. Written in 1925, the novel is a snapshot of the time period. We experience the glittery-splendiferous world of the wealthy—with the accompanying emptiness of morally decayed hypocrisy. Gatsby represents so much that is seductive, but his pursuit of passion—at the expense of all else—leads him to his own ultimate destruction. Fitzgerald writes: "I wanted to get out and walk eastward toward the park through the soft twilight, but each time I tried to go I became entangled in some wild, strident argument which pulled me back, as if with ropes, into my chair. Yet high over the city our line of yellow windows must have contributed their share of human secrecy to the casual watcher in the darkening streets... I saw him too, looking up and wondering. I was within and without." Do you ever feel "within and without"? What do you think it means? Nick Carraway: A Midwesterner, who sells bonds. Narrator. He observes and describes the rise and fall of Jay Gatsby. Daisy Buchanan: Wealthy. Cousin of Nick Carraway. Tom Buchanan's wife. Tom Buchanan: Wealthy. Philanderer. Daisy Buchanan's husband. Powerful personality. Jay Gatsby: A self-made man. The epitome of American Dream. A fascinatingly unforgettable figure in American literature. His parents were poor farmers. After getting a taste for wealth, he went into the Army, attended Oxford and quickly accumulated wealth via nefarious means. With his stupendous rise to great fortune, he was fated to fall. George Wilson: Myrtle Wilson's husband. Myrtle Wilson: Tom Buchanan's mistress. George Wilson's wife. Meyer Wolfsheim: An underworldly, criminal figure. Jay Gatsby's acquaintance. Why was "The Great Gatsby" Banned? 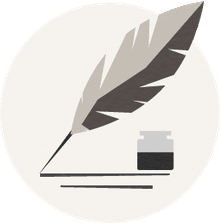 The Great Gatsby and The Lost Generation: Idealism or Façade?